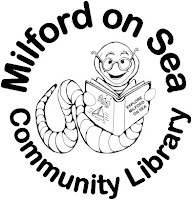 Milford on Sea Community Library in The Village Hall is run by a team of volunteers and they have to fund raise to cover the cost of rent and other expenses. Any proceeds from all they organise goes towards keeping the library open for our village community. Whilst we publicise all village events on the Village Calendar (click here) rather than in this news site, we just wanted to mention the popular village cappella group 'Straight Banana' who will be providing a light entertainment show with a truly eclectic mix of songs from their repertoire – everything from music hall through folk to a wonderful piece specially composed by a group member to coincide with Remembrancetide. The six ladies who make up “Straight Banana” all perform regularly as members of Total Voice Chamber Choir. They have been singing a cappella together for about three years, following a one-off Christmas song which led to the formation of the group. They have recently performed at Milford Folk Club, the Newcomer's Supper and the Total Voice concert at St Francis of Assisi RC Church. If you’re intrigued to know where “Straight Banana” comes from, then come along to the Library on the 28th November and you may find out! Straight Banana Musical Entertainment and a cup of tea/coffee at 2pm on Wednesday 28th November 2018 at Milford on Sea Community Library. Tickets £4 per person, including refreshments, are on sale at Milford on Sea Community Library.